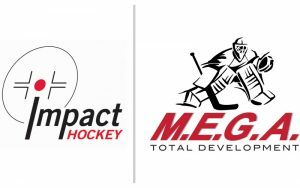 Impact Hockey and MEGA Goaltending have joined together to give elite goalies an opportunity to train on a consistent basis both on and off the ice. These highly competitive sessions will help goalies develop their skills in a positive and dynamic environment. Impact’s Elite program is a progressive camp that allows you to train alongside some of the best goaltenders and shooters in the metro. This program is for H.S (Midgets), Bantam and Peewee’s. Some of the best H.S goalies in Minnesota have utilized this program to sharpen their skill set. This is for a goalie that’s truly ready to take the next step in their game. The Impact program runs from March to mid -November and allows you to train on your schedule while being challenged by great players, expert coaches and at a great price! There is a 2 step process to becoming a MEGA Impact Member for the Season. Application: Complete the online application, you will hear from our staff within 24hours that your application has been received. Purchase: All accepted players will be notified that they are accepted into the program. Registration is complete and the players spot is secured once players have submitted a deposit for the Season.